FINISH: You could never accuse Adeline of failing to have a sense of humour. This finish is testament to that. 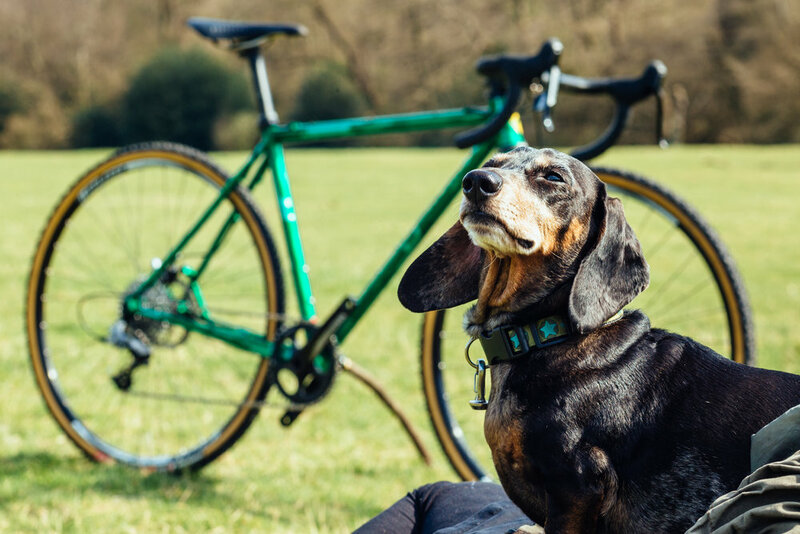 Over a micro-fine silver base, 87 Thomas Slater illustrated sausage dogs are dotted around the frame and built up between layers of Custom Paint green candy to give a comedic sausage dog camouflage effect. 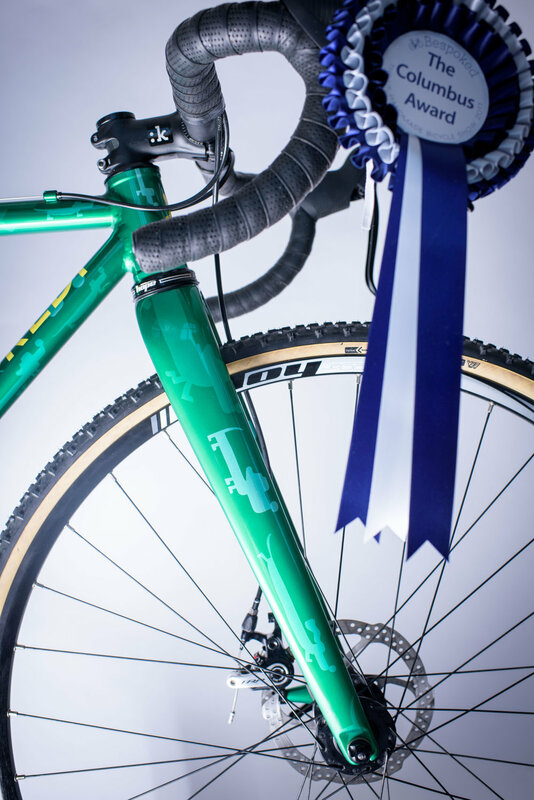 For us, the highlight is the brandalised three-colour Columbus dove logo we airbrushed on the seat tube which shows a sausage dog… with wings.